A musical fable of two people looking for each other through a succession of cubic visual paradoxes and impossible worlds. Colliding the unlikely disciplines of hand balancing and Flexing (a little known dance style originating from Brooklyn), FLIP combines virtuoso circus and street dance with reactive video projection and hypnotic shadow play to create energising futuristic visions of corporeal control and shifting gravity alongside up and coming vocal sensation Eva Lazarus and her unique soulful underground sound. 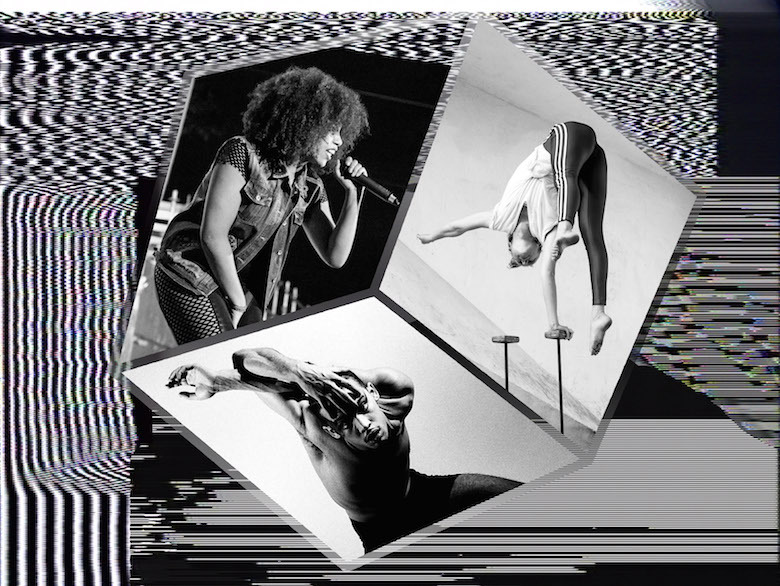 FLIP combines the sharpness and poetry of visual theatre with the raw energy of live music with a show for both standing (dancing) and seated audiences in theatre venues. Following 10 years of devising large-scale productions at music festivals with Bassline Circus, Glasgow based Bex and Dav (also of 85A Collective and VOID) are set to bring this unique mix of urban circus and new music to firstly young Scottish audiences and then the world- with a formula geared for high touring potential. All artists are on board. We are working with Glasgow based producers Feral and in association with multi-artform venue Platform we will be in residency [July & Oct 2017] and premiering in Nov .
Jacksons Lane have offered us a 'transmission' residency August 2017.